Land Rover Santa Fe has a great selection of pre-owned vehicles. Check out our current offers on Certified Pre-Owned Vehicles. At our dealership, we strive to provide drivers of Santa Fe, White Rock, and La Cienega with an extensive inventory of dependable vehicles. And when that’s combined with our dedication to customer satisfaction, you’ll have all the support you need to locate the ideal Land Rover automobile for your family. Let’s get to know each other a little bit better! Start by navigating through our comprehensive collection of Land Rover SUVs, our financing department, and our service center. That way, once you stop by our showroom, you’ll feel as though you already know us. Once you step into our state-of-the-art Land Rover showroom, you’ll immediately be met by a team of professionals who’ll go above and beyond your expectations. Whether you prefer to browse on your own or would like one of our associates to guide you through our selections, you’ll find a wide array of new and used Land Rover and Range Rover vehicles. No matter if you’ve had your eye on the Range Rover Sport, the Range Rover, or anything in between, our diverse options ensure that you’ll discover the car with all capabilities you’ve been longing for. And if there’s a certain gadget you’d like to add to the cabin of your new Land Rover, our staff will assist you in doing exactly that. Once you’ve found your perfect new, used, or certified pre-owned Land Rover, our financing experts will gladly guide you through each step of your leasing or buying procedures. By working with you one-on-one, we’ll get an idea of your budgetary requirements and design a payment plan that fits your needs. That way, you can drive away from our Land Rover dealership knowing that you made the right decision. In addition, our financing specialists have lots of experience collaborating with local banks and lenders to secure you with the loan opportunities you deserve. If you’re ready to begin your financing process, simply head to our pre-approval application found under the shopping tools dropdown menu. Once we review your information, we’ll contact you to talk about your options. At our Land Rover dealership, we know how important it is for you to have access to a cutting-edge vehicle care facility. That’s why we’ve created an advanced service center equipped with a squad of skilled mechanics who’ll get every job done right—be it routine maintenance or an emergency repair. Plus, each of our technicians is supplied with industry-leading tools and genuine parts for the highest quality replacements to your Land Rover automobile. If you’re looking to arrange your vehicle’s first checkup, head to our online scheduler, fill out your information, and select a convenient date and time. We’ll follow up with you to confirm your appointment. 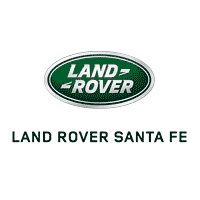 Discover Your Land Rover in Santa Fe Today! At Land Rover Santa Fe, we want all drivers of Santa Fe, White Rock, and La Cienega to be outfitted with a powerful vehicle. And when you choose to shop with our Santa Fe car dealer, you’ll uncover the car of your dreams more quickly than you ever thought possible. So instead of opting for a dealership that lacks in customer service excellence, come visit our showroom or schedule your test drive today!